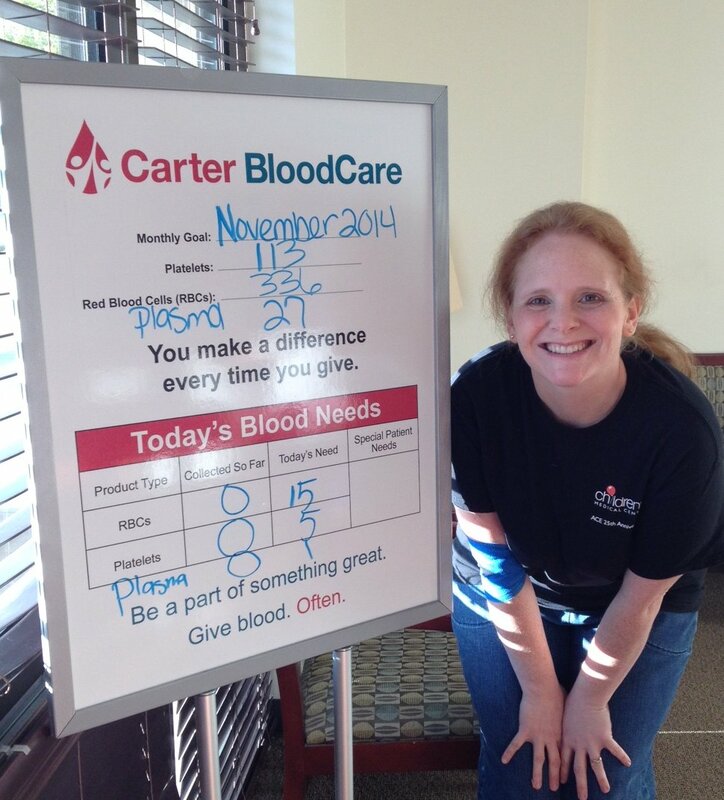 Jennifer gave blood for the first time in 20 years today! This morning started differently for me than most Saturday mornings. Last night, I had casually mentioned to my sister that I wanted to go give blood. She’s a take action type of person, and so we immediately planned a morning outing to give blood and then enjoy a beverage at our favorite local coffee shop (White Rhino). We picked the first appointments of the day-7 am-because we knew that White Rhino would open at 8am, which seemed like perfect timing. I had not given blood since my senior year of high school…almost 20 years ago. I had tried to give one other time, but had been anemic. I found myself excited, but also a little nervous. It made it a little challenging to sleep, but easy to get up! It was very much like a first day of school experience. I picked Colleen up at 6:42 am, and we arrived at the blood donation center at 6:51 am. The lights and heat were on, the staff was ready, and the door was unlocked. We signed in, read the laminated education sheets, finished the registration process, and then were called individually into different consultation rooms. The tech to whom I talked has worked there for 7 years. She took my vitals (temperature, blood pressure), then checked my hemoglobin. Once all of those numbers were recorded, she set up the intake questionnaire on the computer and left the room to give me privacy to complete it. Once I was done, I opened the door (as per her instructions) and we talked about some of my answers. Once I was given the all clear to donate, I was taken to a donation chair. The chair itself was a well padded recliner with adjustable arm rests. My donation arm was placed on a pillow atop the lowered arm rest. I noted that the other 9 donation chairs were empty. My donation phlebotomist was a very nice, talkative woman who made the process of donating pass quickly. (As a side note, her son turned 30 yesterday. He had childhood cancer, spent a year going to Children’s Medical Center getting various chemotherapy/radiation treatments, and was initially told he would live 3 years past diagnosis. No one at Carter BloodCare knew about Liam when I was assigned to my phlebotomist. To think that it was mere coincidence that I would be encouraged in this way just does not seem possible.) I was finished with my donation at 0752, but I was encouraged to sit in the canteen area for 10-15 minutes before leaving. Now, I have a return appointment. Because I gave whole blood, I can give again in 56 days. I suspect that the length of time for the next appointment may be shorter because I’m now a registered blood donor with Carter BloodCare, but an hour and 15 minutes seems like so little to give. I have spent many more hours watching Liam receive blood products and am so glad that I’m now giving back. I am forever grateful to the donors who have given the blood products that Liam has received during his treatment. They gave not knowing who they would help, and we have been blessed by their selflessness. The experience brought to mind the song lyrics by Roger Hodgson, “Give a little bit, give a little bit of your love to me…” Blood donation is a gift of love. Someone needs blood every three seconds. Three lives are saved by one pint of donated blood. If you are eligible to donate, please, consider becoming a blood donor. I would highly encourage you to sign up with a friend or a loved one and go! If you would like to know more about the donor guidelines for Carter BloodCare, click here. If you would like to know about the types of donations, click here. If you would like to find a Carter BloodCare donation center or mobile drive, click here. If you would like to find a blood bank near you, click here.